We Call It… The Banana Gun! This drink was a surprise stroke of genius that came as a result of a little back-and-forth with a customer. Most times, as a bartender, I’ve got a couple different drinks on my mind in case anyone wants something but doesn’t know what they want. When someone wants me to pick for them and surprise them with something, I’ll still work with ’em to either direct ’em to a classic or one of the slate of drinks I’m holding onto in my brain — I’ll ask a couple of questions and try to read ’em and make sure they get a drink they’re going to like. Then there are those moments when a little back-and-forth banter leads to a collaboration you would’ve never thought of on your own — which happened to me Tuesday night. 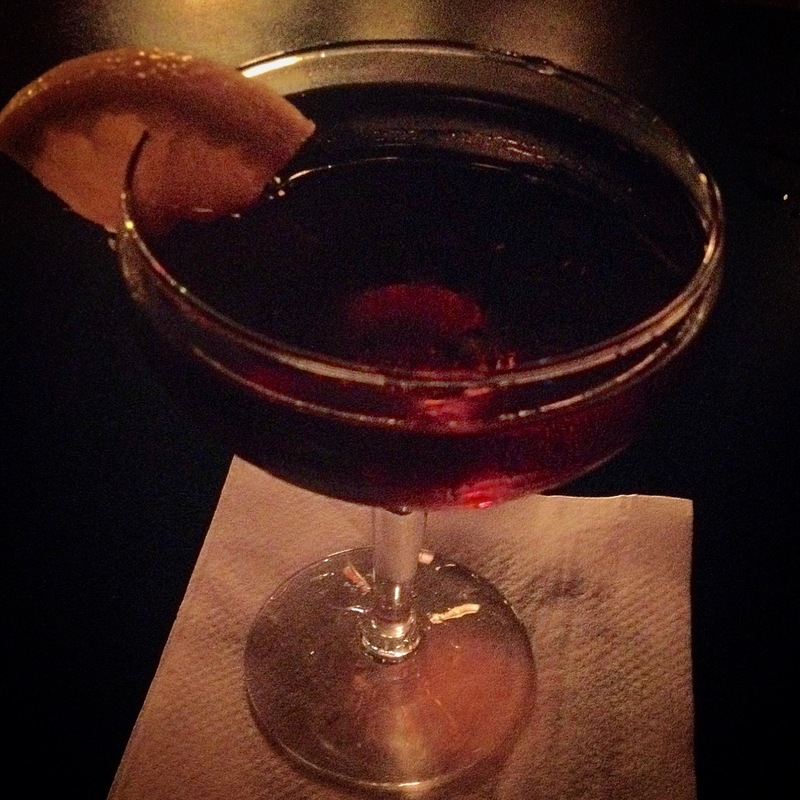 I’d served a friend a Manhattan after his dinner and then we were discussing where to go next. 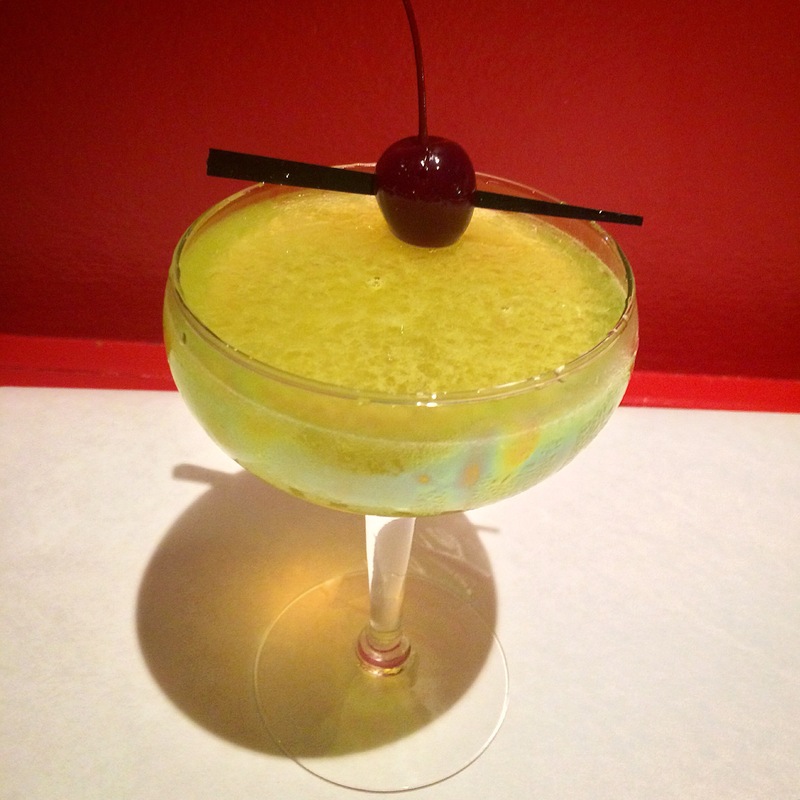 The idea of rum was raised and the possibility of a banana daiquiri was discussed, but then I brought up the Revolver. The Revolver is a bourbon drink with coffee liqueur and orange bitters. It’s a simple three-ingredient cocktail, but it’s surprisingly easy for essentially being all booze. So, into the drink went banana rum — which definitely made a sort of sense. I mean, the coffee liqueur we were using in the drink was Kahlua, which is a rum-based coffee liqueur that tastes like vanilla. — Read here about the Revolver. — Liquor.com’s page about the cocktail. 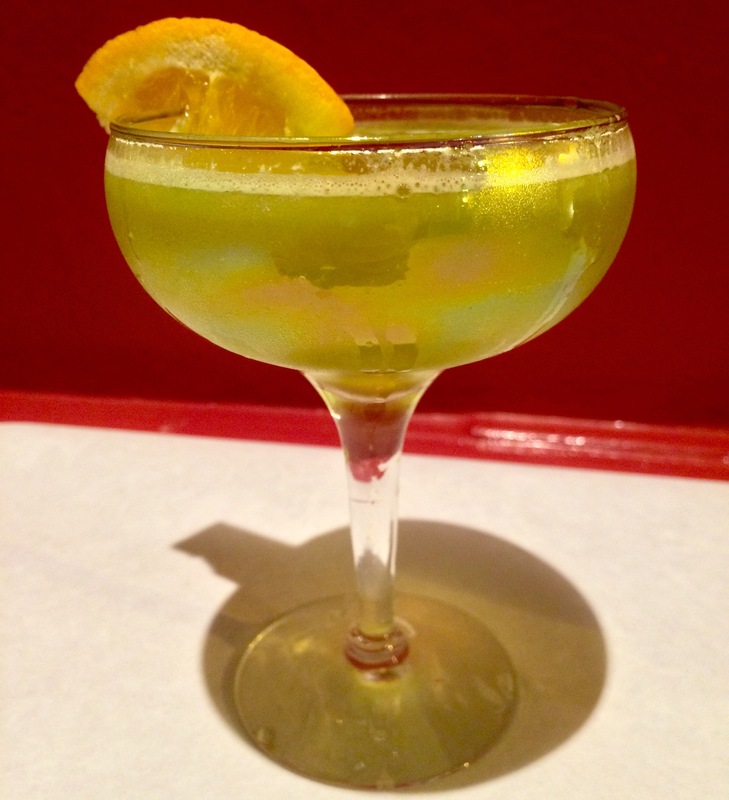 The Prizefighter #1 is a cocktail that was created by Nick Jarrett. 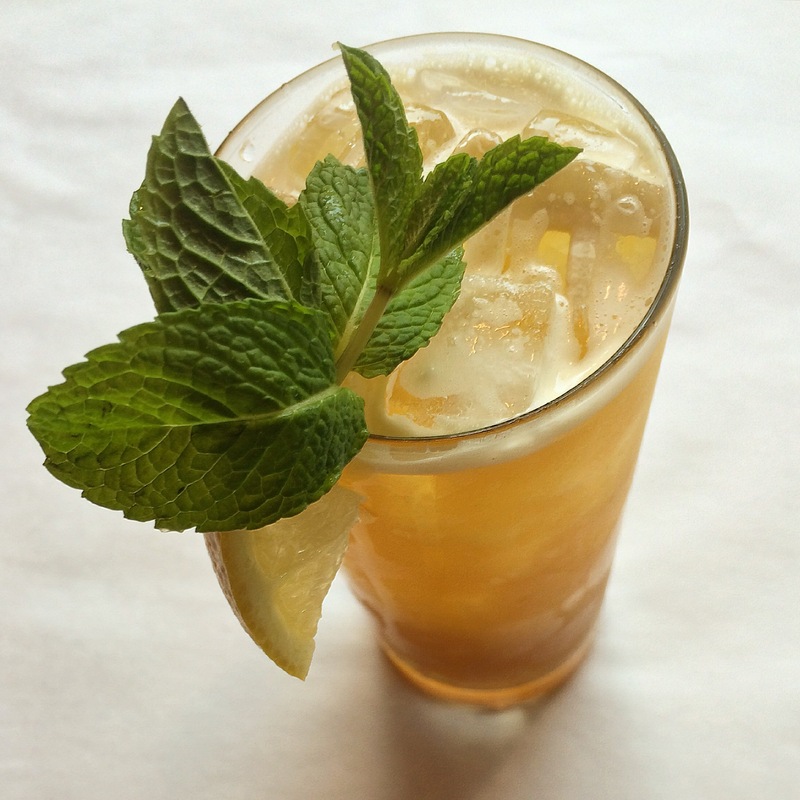 I’ve written about the drink before, and you can read that post here. Last night I was serving something to customers that was sort of like the Prizefighter #1, but different in that it had pineapple juice… So I figured I’d give the drink its own post today (and I don’t know if Nick Jarrett has already made this variation, so if someone knows… Leave me a comment). Now, whereas with the Prizefighter #1 you shake and double-strain and serve up or on the rocks, I was serving this pineapple drink in a Collins glass finished with Sierra Mist. 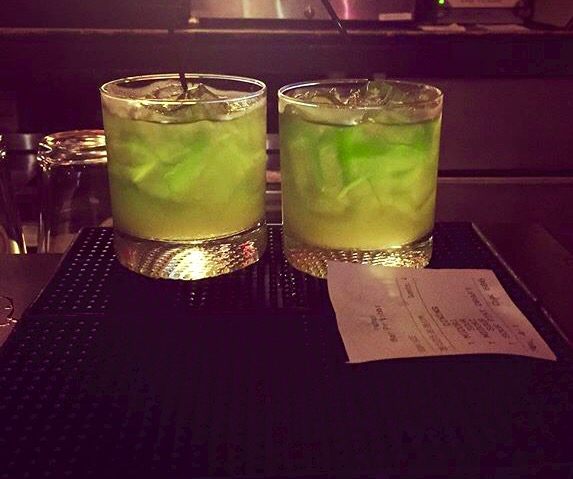 Earlier in the week I posted about a friend who took a photo of two Midori Sours at the bar where I work. That photo, and the conversation sparked, spurred me to try and modify the classic Midori Sour. That first post can be read by clicking here. Everyone I know hates the idea of Midori Sours, and that’s mostly because they’re afraid of two things— getting too much of the liqueur and also having to drink packaged sours mix. In my first attempt at modifying the drink, I added in Applejack with the Midori and lemon juice. The addition definitely made for a different and even tasty drink, but it was too different — it didn’t feel like a Midori Sour any longer. Shake all ingredients over ice ans strain into a chilled cocktail glass. Garnish with an orange wedge. Again, thus was just an okay drink. It was more like a Midori Sour than my first attempt, but it was too sweet. I think the orange flavor worked nicely, but I need to change the proportions. And those are understandable apprehensions. If you’re more used to sipping spirits straight or imbibing bitter cocktails like the Negroni or shooting Fernet-Branca, then the idea of Midori liqueur and sours mix will probably make you shudder. When I saw the above photo on Instagram though, it sparked something in me — is the Midori Sour beyond saving? Can it be modified for the more discerning cocktail drinkers of the world? Jeffrey Morgenthaler has had great success in updating other drinks like the Amaretto Sour and the Grasshopper for his bars, and realize that I’m not Jeffey Morgenthaler. But still, Midori tastes alright on its own (if you like melon). And also, a sour doesn’t have to use packaged sours mix. So with all these thoughts floating around in my head, I figured I’d at least try drinking a Midori Sour or two this week. I mean, it’s probably been years since I even tastes the liqueur. And we actually go through quite a bit of it at the bar. There’s one guy who comes in who likes it in his margaritas, and that’s honestly a pretty taste way to have it. Shake all ingredients over ice ans strain into a chilled cocktail glass. Garnish with a cherry. This was an okay drink. The apple came through more than I had wanted it too, but friends who sipped it said that they wouldn’t have been able to identify the flavor as apple — as it paired well with the melon in the Midori. This actually tasted pretty much like a regular Midori Sour. But it also tasted like an Apple-tini. I was happy that the full ounce of lemon didn’t make it too tart, but the drink still lacked some sort of body and mouthfeel that the sours mix must give it. Thoughts for future experiments? Maybe trying it again with egg white. Maybe trying it again with Gomme Syrup.